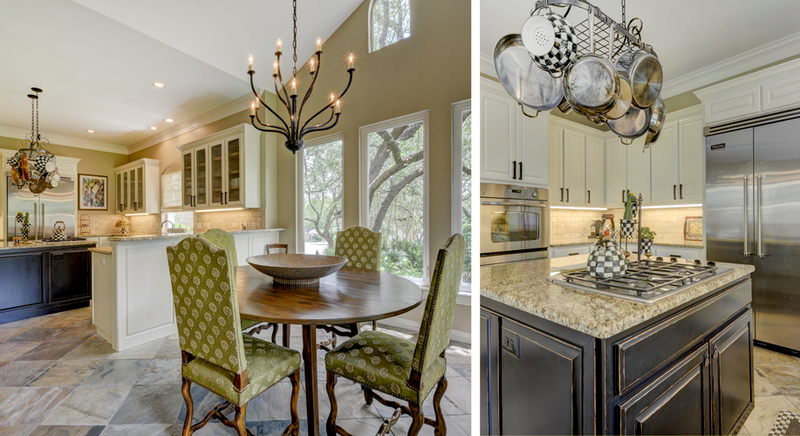 These listings by Austin Portfolio Real Estate agent Francie Little make a statement by combining undeniable functionality with beauty and style. 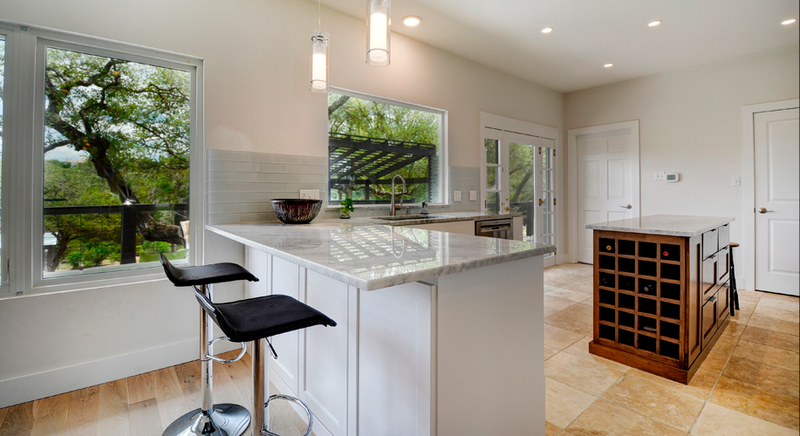 This extensively updated home located near Lake Austin showcases a completely remodeled kitchen with high-end appliances, fixtures, finishes and a built-in wine rack. 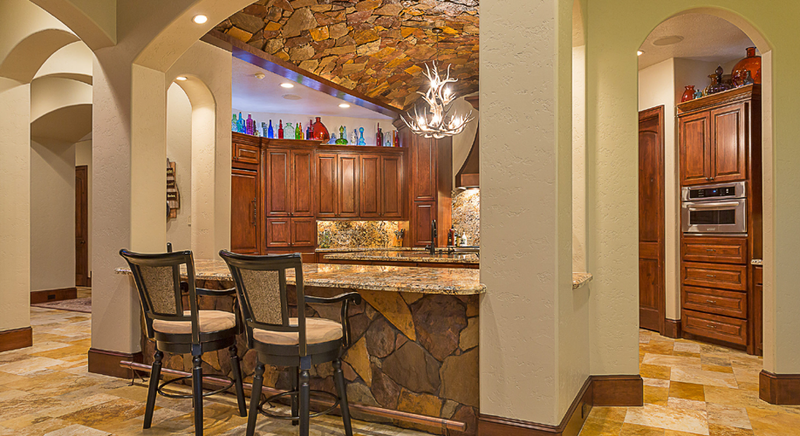 Enjoy breakfast at the bar or in the spacious breakfast nook that overlooks the gorgeous backyard. The numerous, new windows allow for ample natural light, which enhances the bright and airy feel of the home. 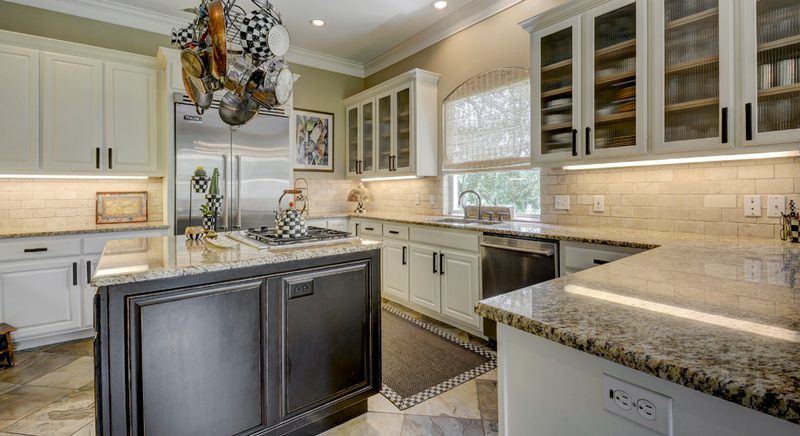 Convenient for backyard gatherings or relaxing and sipping wine on the upper deck in the evenings, the kitchen offers direct access to the backyard through its large, glass doors. 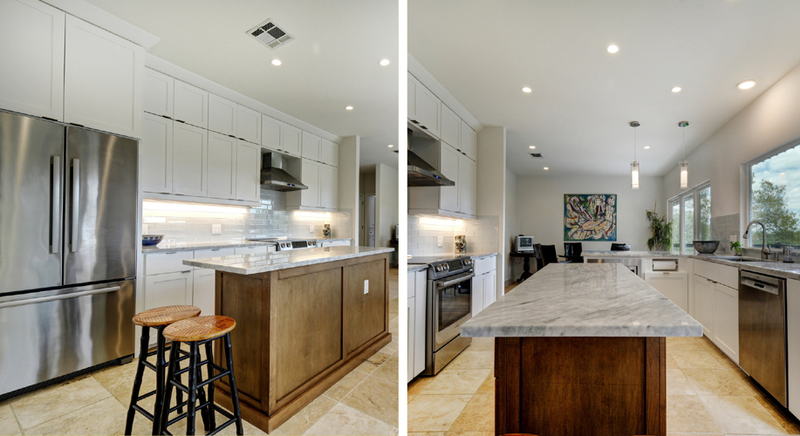 This beautiful home located in a wonderful gated community of the Eanes School District offers a warm and updated kitchen with tile floors, granite/marble counters and stainless steel appliances. 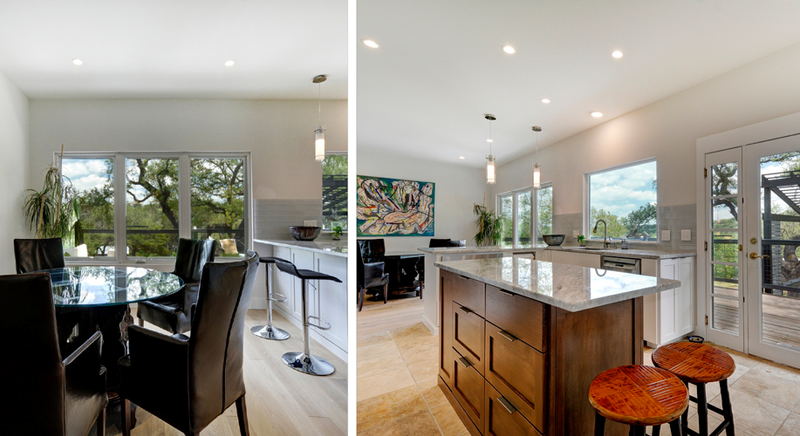 The breakfast area and bar open to the family room with large windows that overlook the professionally landscaped backyard, built-in grill and expansive back patio with roof and arbor. 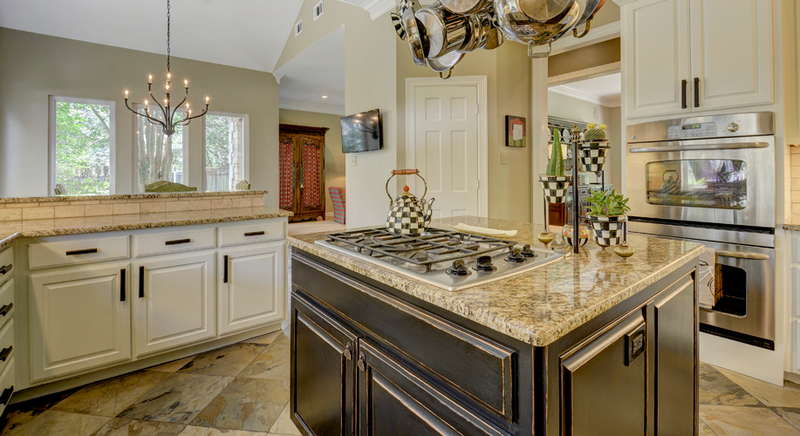 Small details such as the contrasting center island and elegant breakfast area light fixture are the luxurious touches that make this kitchen stand out. 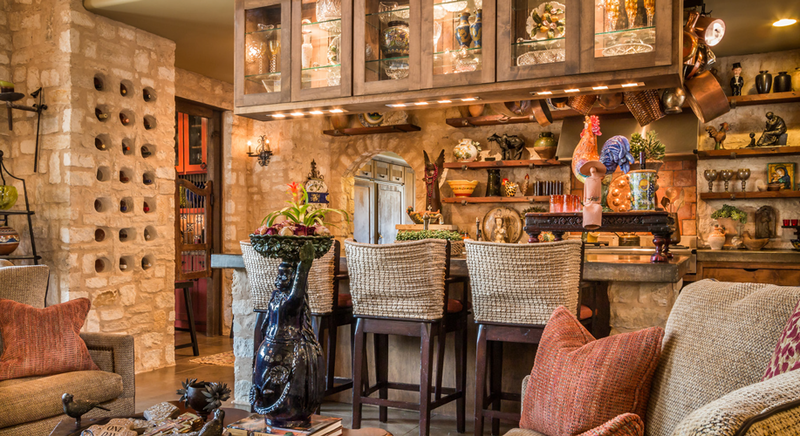 This enchanting Tuscan farmhouse located near the shores of Lake Austin artfully combines contemporary sensibility and the Tuscan vernacular. 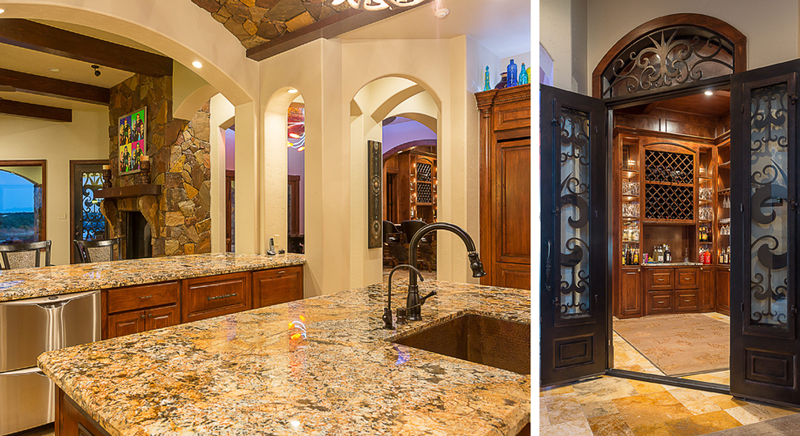 Its Italian-style open, country kitchen, along with other features, is reminiscent of an old Italian villa in a modern home. 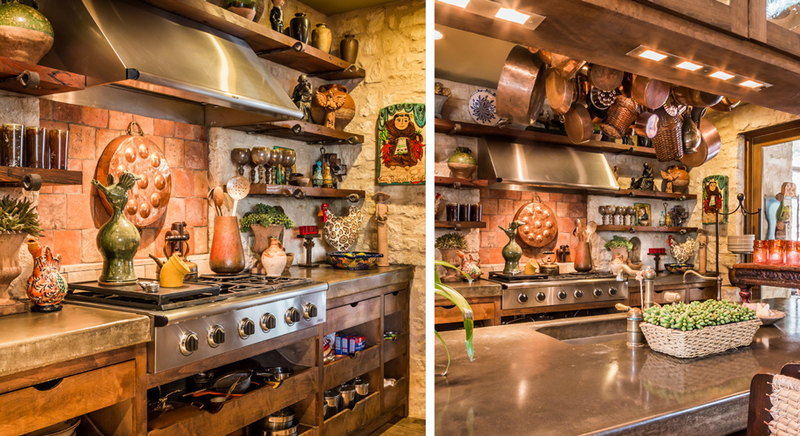 Although the kitchen has all the modern features expected, such as stainless appliances and sub-zero refrigerators, it gives a nod to the Tuscan farmhouse hearth with open shelving, farmhouse sink, thick concrete countertops, arched opening, stone walls and terra cotta tiles on the backsplash. 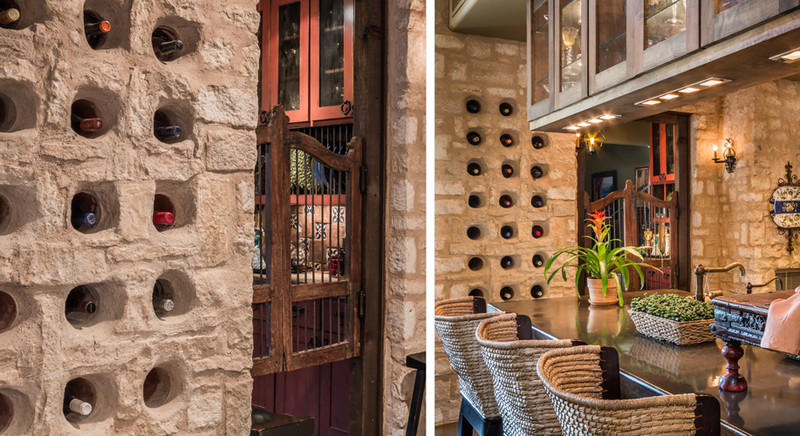 Even the wine rack located in the wall near the kitchen adds some European flair and old world charm. Located in a small enclave of homes near the award-winning Barton Creek Lakeside golf course, this waterfront estate offers a rustic but elegant chef’s kitchen with a walk-in pantry, breakfast bar, casual dining area, and top-of-the-line appliances and finishes such as granite and marble counters. 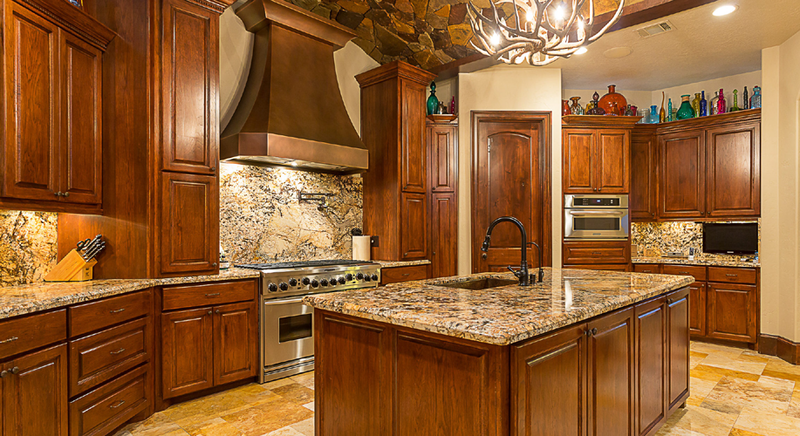 Thoughtfully designed with entertaining in mind, the kitchen opens to the spacious living area, which overlooks the scenic bluff, Lake Travis and the surrounding Hill Country.